Amir Muhammad. Illustration by Lyn Ong. A man discovers an armoured giant from the ancient Malacca Sultanate. A pizza delivery boy fights a zombie apocalypse. Two brothers are hired to kill Muslim apostates by a mysterious man. Outlandish? Perhaps. But these stories are the stuff of popular fiction. They are the plots of Gergasi (by Khairul Nizam Khairani), Zombijaya (Adib Zaini) and Murtad (Hasrul Rizwan), three of the many books published by Malaysian publisher Buku Fixi. Established in 2011, Fixi has become a rare success story in the publishing industry. Its Malay-language urban contemporary novels are a fixture on local bestseller lists. Written in the pulp fiction, noir, horror, crime and thriller genres, many of the novels are brimming with slang and bahasa celupar, making Buku Fixi a distinctive brand of books. “These aspects aren’t captured very much elsewhere. I was thinking, if I were a younger person, I would be attracted to things that are a lot more sordid than my everyday life,” says writer and independent filmmaker Amir Muhammad, who founded Buku Fixi. The company recently picked up the Bookseller International Adult Trade Publisher Award at the London Book Festival held in April this year. So Fixi was born. Amir put out a call for submissions on Facebook, aiming to publish his first books by the time of the KL Book Fair that year. He derived his company’s name from the Indonesian word ‘fiksi’, which was in turn derived from the English ‘fiction’ and Latin ‘fictionem’: it was his tongue in cheek way of hinting that nothing is original in the world of novels. The initial response was slow: the first six months of Fixi saw few submissions and Amir had to go around finding writers himself. 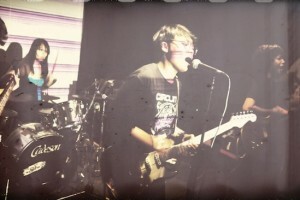 After first aiming to publish six titles within that timeframe, he found himself having to settle with three: Khairulnizam Bakeri’s Pecah, Ridhwan Saidi’s Cekik, and Shaz Johar’s Kougar. This trinity of novels were well-received, however, and Buku Fixi began to pick up momentum, attracting authors all over the country with its refreshing take on genre fiction. The company was first receiving only one or two submissions a month: before long, this number shot up to twenty, By the end of its first year, Buku Fixi would end up publishing ten titles. 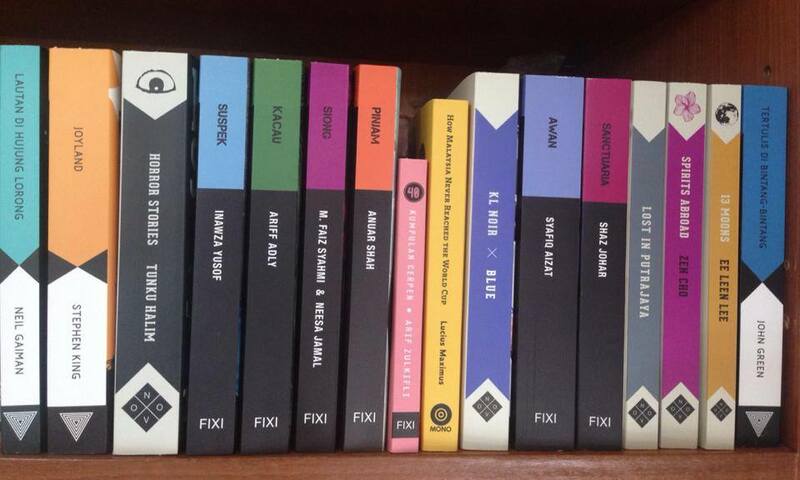 A selection of Fixi titles. Photo courtesy of Fixi. “I didn’t expect Fixi to snowball like this,” says Amir. Faced with this unexpected success, he decided to put Matahari Books on temporary hiatus. Today, Buku Fixi carries over 50 titles, with two of its titles adapted into films: Pecah and Zombijaya, which was adapted with the title KL Zombi. All Buku Fixi submissions must go through a panel of 14 readers, with the book only proceeding if it is accepted by at least eight. Malay titles have a print run of 3,000 copies, while English titles under Fixi Novo run for 2,000. More people read Malay books in this country, explains Amir, with the market for English books mainly being the Klang Valley. With the young urban audience in mind, each book is priced between RM15 – RM20 and Fixi even has promotions such as its current “6 Pack Fixi” deal, with six books going for just RM84 in total. As of now, Buku Fixi’s best-selling Malay title is Nadia Khan’s Kelabu, with 12 print runs so far. Kelabu is the story of Amir, a freelance photographer who becomes a ‘contract boyfriend’ to a girl named Jun. While the storyline may sound like a chick flick, the novel features many twists and turns. “I was surprised actually. I didn’t think it would sell very well, because it was very thick, at 100,000 words. It turns out though, that it kept on selling. It’s a perennial bestseller,” Amir says. Kelabu has sold over 20,000 copies to date. This rule is relaxed with the other labels, however, as a way of distinguishing between them. The top selling English title for Fixi Novo is KL NOIR Red, with 15,000 copies sold. This series was followed with White and Blue, which also climbed the bestseller lists for Southeast Asian fiction at Kinokuniya. Yet Fixi Mono, the line that focuses on non-fiction, has not enjoyed the same success. On the other hand, the translation label Fixi Verso is off to a promising start: at the time of the interview, Tertulis di Bintang-Bintang, their translation of John Green’s The Fault in Our Stars, was the first Malay translated novel to reach No.1 on Kinokourniya’s Malay fiction bestseller list. “There were people who were quite upset to hear we translated that book. They were quite possessive, they felt we had spoilt it. And they hadn’t even read it! I could understand if it was because of the quality of the translation. But no, it was because we had translated it in the first place,” Amir says. 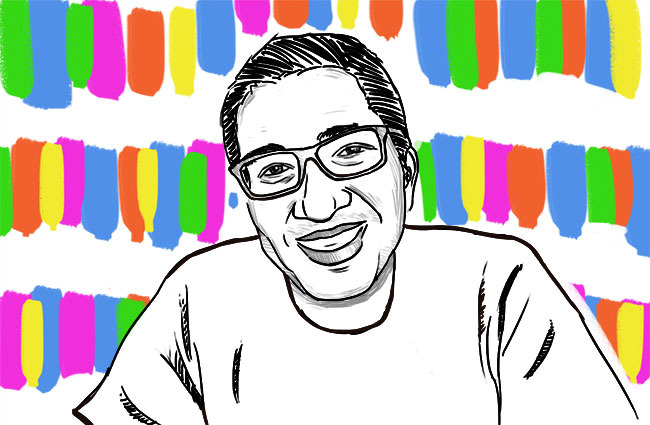 While his job may require him to go through countless writing submissions (not all of them very good) Amir still enjoys Malaysian writing, and has positive hopes for it. “There’s a lot of it, actually. I think it’s great that people are not self-conscious, they can write without worrying about it being seen as serious or worthy,” said Amir. He names Brian Gomez’s Devil’s Place and Anthony Burgess’s Malayan Trilogy as his favourite Malaysian novels. “They both deal with Malaysian life with humour and insight. And anger as well. We need more of that kind of thing. We need people who have things to express, who have views on the way things happen here, and are good storytellers,” Amir says. According to him, the best way to form a thriving local literary scene is for there to be regular outlets for creative expression. “Malaysians like to tell stories. I miss the time when there were regular places to submit writing. There used to be Silverfish New Writing, I edited the first one. Our newspapers, like The Star and the New Straits Times used to have writing contests, but they stopped after a while. I think they should restart them,” Amir says. How does he hope Buku Fixi can contribute to the local literary scene? Local readers, however, still surprise him on occasion. Amir tells me about an Indonesian murder mystery he published, which failed to connect with readers due to its foreign time period: the 1980s. “There was a review on Goodreads by a teenager, who said she couldn’t understand the characters because they didn’t have handphones. It was just such a bizarre world where you had to go home to get a phone call. She couldn’t connect, and said it spoilt it for her!” Amir chuckles. As for upcoming titles, Amir’s certainly got his hands full: a debut novel by Hadi M. Nor will be launched this weekend and Fixi Novo will see two more novels coming out in September, as well as the release of KL NOIR: Yellow. Fixi Verso will also see two more translated titles this year: one being Haruki Murakami’s Colorless Tsukuru Tazaki and His Years of Pilgrimage. The second is Salla Simukka’s Snow White trilogy, a previously self-published Finnish novel billed as a Young Adult version of The Girl with the Dragon Tattoo. It has never been published in English before. Find out more about Fixi here. CORRECTION: The original article stated that Salla Simukka’s Snow White trilogy was “a previously self-published Finnish novel”. This novel was not self-published and the line has been amended (06/08/2014). 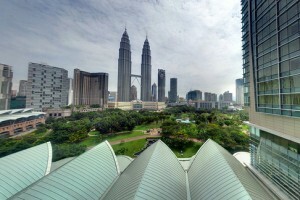 KL: city of the super rich?